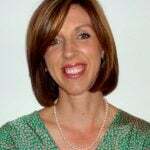 Home / Menopause / When will I start the menopause? 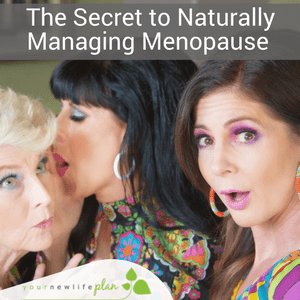 While it’s a given that every woman will go through menopause, there are no hard and fast rules as to when it will actually begin. It’s usually between 45 and 55 and the average age is 51. But there are certain factors which will influence the age at which you’re likely to notice menopausal symptoms. The age your mother reached menopause. As menopause can be genetically linked, you’re likely to follow a similar path. 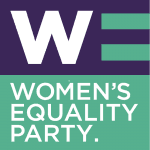 It’s worth looking at the other women in your family too, such as your grandmother and aunts. If there’s a strong pattern of similarities, then you’re probably going to be around the same age. If you smoke. You’re more likely to reach menopause earlier than non smokers. Your ethnicity. Studies have shown this can sometimes have an effect. Hispanic and African-American women reach menopause a little earlier, and Chinese and Japanese women a little later, than the average Caucasian woman. Ovarian surgery. Having your ovaries removed during an operation leads to an immediate menopause. If you have had your womb (uterus) removed – an operation called a hysterectomy – before your menopause, you may experience an early menopause, even if your ovaries are not removed. Although your ovaries will still make some oestrogen after a hysterectomy, it is common that your level of oestrogen will fall at an earlier age than average. As you do not have periods after a hysterectomy, it may not be clear when you are menopausal. However, you are likely to develop some typical symptoms when your level of oestrogen falls. These can actually be more severe than if you had a natural menopause, as your oestrogen levels drop abruptly. Chemotherapy. Some types of chemotherapy and radiotherapy can cause an early menopause. Your cycles may return to normal when you’ve finished treatment, but you’re still likely to reach menopause a few years earlier than you would have otherwise. You might be surprised to learn what doesn’t have any influence on your menopause. The age at which you have your first period, for example, has no bearing. Some women think that they have a certain number of cycles, but this isn’t the case. Similarly, if you’ve been pregnant or have breastfed, this won’t have any effect. And using hormonal birth control has also not been shown to have any impact on when you begin to enter perimenopause. Is there any way to confirm whether I’m going through the menopause? If you’re over 45 and have irregular periods with symptoms of the menopause then you don’t need to have any tests to diagnose menopause. The diagnosis is made by your symptoms alone. If you are taking contraception or have a Mirena coil, then it may be difficult to know what your periods are like. 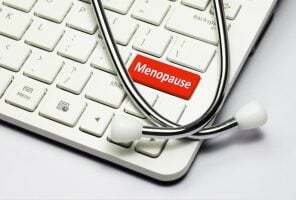 However, if you are having symptoms of the menopause and are over 45 then you don’t need blood tests either – the diagnosis is made purely on your symptoms and age. If you’re under 45 and experience symptoms of the menopause then your doctor may decide that you need to have tests. The most common is a blood test measuring the level of follicle stimulating hormone (FSH). This is the hormone that regulates the amount of oestrogen in your body. If you have low levels of oestrogen then your FSH level is usually raised – if this is the cause it is very likely that you are menopausal. This blood test is often repeated four to six weeks later. However, as hormone levels can fluctuate, some women are menopausal despite a normal FSH level. For some women, being on the pill or having hormonal implants has already stopped their periods, so it’s not always clear if they’ve gone into menopause or not. If you feel it’s important to know, from a contraceptive point of view, then speak to your GP. If you have gone into menopause then you will still need to use contraception for two years after your last period if you’re under 50 and one year if you’re over 50. It’s helpful if you know the date of your last period, and your doctor will look at any other symptoms, such as hot flushes. You should certainly not be told you are or you are not menopausal just by one blood test if you’re under 40 years of age. 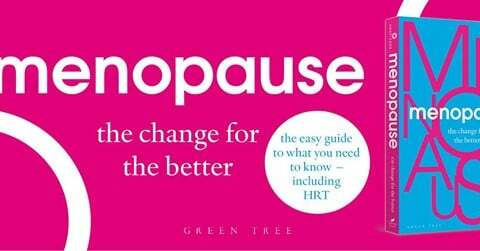 So while it’s not always easy to diagnose where you are on your menopause journey, there are a few pointers which you and your GP or menopause specialist can use to help you along the way.